Clorofilla is a school in Milan that gives special attention to the creation of an educational project. The focus on play, creativity in the learning process, the forming of one’s personality and the emergence of children’s talents are characteristics that belong to the ages ranging from 0 to 6 years. 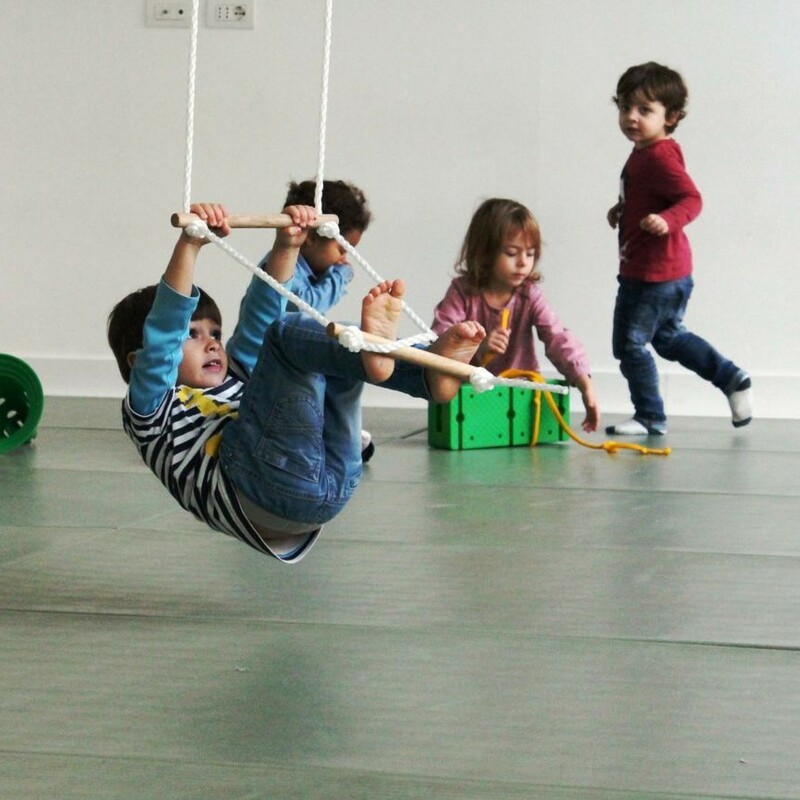 Clorofilla believes in fostering relationships, the autonomy of children and in learning together. We strive to create places and times in which everyone feels at ease, free to express one’s thoughts in a harmonious group. We value the construction of a child’s own knowledge and of the growth of the group. We believe documentation is a fundamental means of communication. Through daily diary input, journaling and bulletin boards we share with parents the children’s experiences. The educational projects of Clorofilla are characterized by research projects that often are influenced by the diverse, child-centered spaces within the school. Clorofilla is characterized by the presence of a large roof-top garden, with aromatic plants and seasonal vegetables that capture the attention of children. In addition to this vegetable garden, the spaces include: water atelier ( pool ), body atelier (gym), or a mini- atelier which support the languages ​​and research of children; remaining inside the frame-work of the Reggio Approach. The topics explored by the children, and even the very young one’s, are endless and the discussions of which arise from these curiosities. In particular, the natural environment provides wonderful opportunities to question the meaning ever day events: spontaneous observation of nature raises questions of meaning (Why? How? What?) Times the exploration and the search for meaning of life and the things of world. 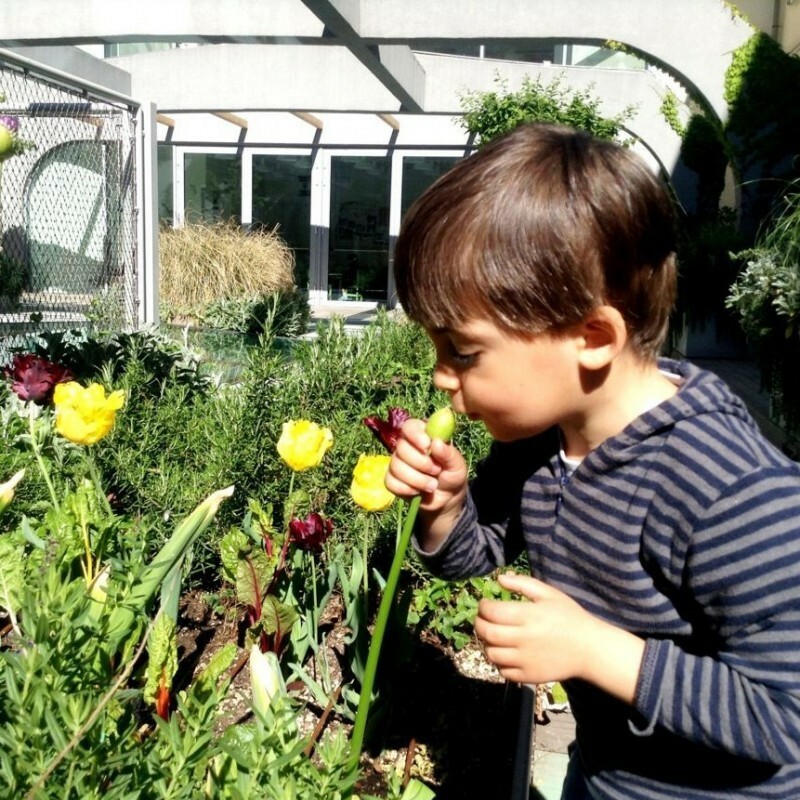 Our roof garden, along with the greenhouse inside, allows for experiments and scientific research using daily events such as the birth of a flower, the drops of dew on the leaves and the flight of a butterfly. Another essential element in the educational practice of Clorofilla is to consider creativity as an integral mode of knowledge that each child possesses. We believe it is the responsibility of the nursery and preschool to enhance all verbal and non-verbal languages. For some specific languages, such as the artistic language, there needs a space for it to exist which allows for kids to express themselves, to communicate, and to make visible these creative expressions. Within each class a mini-workshop exists that has the specific purpose of integrating, broadening and deepening the class activities. The reading space in each classroom is set-up as a place to stop and rest; where children in each class may preserve and build their own “library” of books which they most love. Teachers gather to read aloud stories and narratives where they also create new stories with children. The different spaces within Clorofilla are designed in consideration that children are free to be in motion or to rest, without barriers. Every space should be able to respond to the needs of which their bodies express. In support of this, we have a gym where children dare to climb and expound their energies; as well as a swimming pool, where kids may dive and play with water. These places accommodate the demanding energy of a young body in growth.